… but I have been distracted by other, quite lovely, bookish things during the day. I spotted the Slightly Foxed Winter Catalogue this morning, when I should really have been working. But I was in the harbour office on my own and I needed a little distraction. I spent a damp grey lunch hour at my desk spotting favourites, remembering books I have on hand and must read, checking the library catalogue, and adding rather a lot of books to my wishlist. Just one small complaint: The Cornish Cliffhangers shouldn’t have all been books by Daphne Du Maurier. Leo Walmsley’s Cornish books were celebrated in Slightly Foxed a few years ago – though, if you want to be pedantic, they were set on an estuary not on the cliffs – but there are others. Maybe that’s a project for another day. Six Cornish Books to recommend to lovers of Slightly Foxed …. But not today, because I already knew that there was more waiting for me. 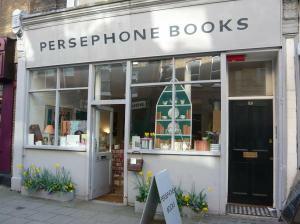 A phone call from home had announced the arrival of the new Persephone Biannually! Knowing that the two new titles for autumn aren’t out until Friday I hadn’t been expecting it quite yet. I was blessed with an advance copy of ‘Patience’ by John Coates, and even though I haven’t quite finished I can say that it really is a little gem. And the Persephone Book of Short Stories is high on my wishlist. The Biannually is every bit as lovely as you’d expect and a little bit more. Two short stories, lots about the new books, a 1934 review of ‘Harriet’ by Elizabeth Jenkins, pieces on Miss Buncle and ‘Little Boy Lost’ … much more too, but I don’t want to spoil it for anyone, and I want to save it until I have time to sit down and concentrate. I have a particular attachment to ‘Little Boy Lost’, because when my copy arrive my mother told me that her mother had read Marghanita Laski. When I’d finished reading she borrowed the book, and she loved it so much that she offered to loan it to a number of her friends. Sadly, but in a way fittingly, it was the last novel she read before her short-term memory failed her. She still likes the idea of books, so now I talk to her about what I’m reading instead. My heart skipped a beat. And if that isn’t reason to be distracted I don’t know what is! What book refers to the widow who takes in lodgers? I wouold love to read that book. I’ve added in the missing details now – it’s A Month in the Country by Jocelyn Playfair. especially with your delicious mention of the new Persephone Biannually! we live in Manhattan so it comes a little later than to you in England. but still – worth waiting for…..
It’s lovely to meet you, and thank you for your kind words. The binanaully is most definitely worth waiting for. I didn’t even know about the SF catalogues but they look lovely and, obviously, the arrival of the Biannually is an event to be celebrated! I’ll probably have a few weeks until mine reaches me but I’m eager as always to get my hands on it. It was pure luck that I spotted a link to the catalogue when Slightly Fox posted a link on Twitter. And isn’t it just as lovely as you’s expect?! 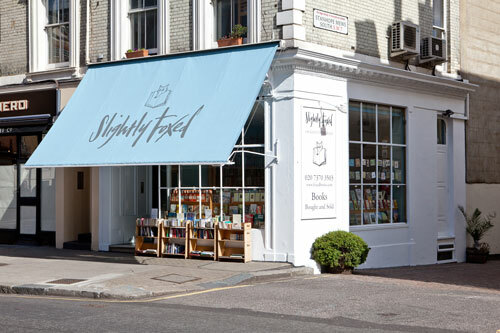 It is so lovely to find the time to just browse – whether its a book, magazine or just the blogs. I find the browsing particularly thereupatic with my quilting magazines (all patterns I am dying to do and all being put off for whenever). I like the sound of this book (A month in the country) so much. It sounds so much the beginning of a family saga. I didn’t really have the time, but I couldn’t resist. When I heard Nicola Beauman speak she refered to A Month in the Country as the archetypal Persephone, so I really don’t know why I haven’t read it yet. My Persephone arrived yesterday, and I have not even opened it yet. Time is running away with me at the moment. I know the feeling. I’ve only scanned, because the biannually deserves to be read at exactly the right moment. Hopefully time will slow down a little for you soon.